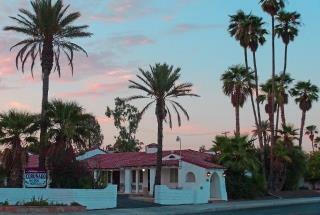 The newly remodeled - Historic Spanish style - Historic Coronado Motor Hotel, is one of Yumas finest hotels. Our professional staff, area attractions and luxury accommodations will insure a memorable experience for each and every guest. Today the Historic Coronado Motor Hotel is proud to be an independently owned and operated hotel, under their own brand, that continues to strive to improve and modernize with the changing times, and always do its best to meet the needs of the guests. Owners John & Yvonne Peach make every effort to maintain the unique identity of this historic hotel.